In theory, making New Year’s resolutions is a great idea. Why not try and better yourself by targeting specific areas of your life that appear to need improvement? I’m sure there are many people who are completely capable of keeping New Year’s resolutions and being very dedicated to the changes they want to make, but I also think change is hard…and even the most well-meaning, enthusiastic resolution-makers struggle to stay committed. We need help, it’s true. Motivation and encouragement are welcome in any form, and since New Year’s resolutions are such a big deal, there are plenty of resources for those of us who are really serious about staying dedicated. South Minneapolis’ Linden Hills Co-op decided to commit itself to encouraging healthy living in 2013, starting off the year by offering Wellness Wednesdays throughout the month of January. Each Wednesday has been given a specific theme related to promoting health and wellness in some way. The theme on the first Wednesday of the year was, quite fittingly, Detox, followed by Omegas, then Superfoods, and, for today's theme, Immune Defenses (today, the 23rd). 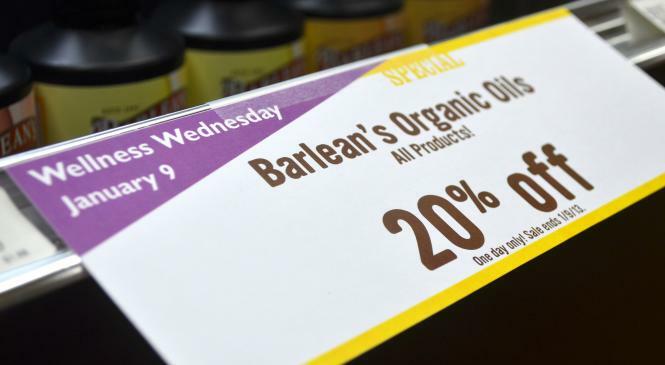 On each respective Wellness Wednesday, the co-op has offered a special 20% off deal on some of their most-recommended products relating to the theme of the day. And on January 30th, they plan to end the month on a high note by offering 20% off all produce. Doesn’t that sound fantastic? I mean really, what better way to promote healthy living than having a fruit and vegetable sale?! I had the opportunity to venture over to the co-op for their second Wellness Wednesday of the month, which happened to be the one featuring Omegas. It was my first trip to the Linden Hills Co-op, since I live in a different area of the city, but I found the store to be lovely. It was clean and tidy, and the first thing I saw when I arrived was a rainbow of gorgeous produce, which gets me every time. They have all the usual co-op staples, like the walls lined with bulk bins, the fantastic cheese counter, the signs showcasing the local products, and the wellness section stocked with vitamins, minerals, and herbs of all kinds. I was greeted warmly and, upon stating my business—I was in search of these Omega things, and information about how they would benefit my health—was directed to the spot showcasing all kinds of Omega-related products. I found flax, hemp, and chia seeds, sacha inchi seeds (something I’d never heard of), fish oils, and omega-3 supplements. And in addition to the 20% off LHC was offering on their omega products, they had also scheduled a local expert to come answer questions and help customers understand the importance of essential fatty acids in the diet. Finally, there were even free samples! You really couldn’t go wrong—even though the sample they had when I was there was smoothie-flavored fish oil…it was actually pretty tasty. To sum it up, I really wish I’d have been able to make it to the other Wellness Wednesdays as well, because my experience with the one I attended was pretty great. LHC is a beautiful store with a very friendly and knowledgeable staff, and they are really doing things to help us live better, New Year’s resolutions or not! As I mentioned, as part of their Wellness Wednesday promotions, LHC is offering discounts on some of the best products relating to the particular day’s theme. I was lucky enough to be given some of the featured products to try myself, courtesy of LHC, so I’ll provide some brief product reviews to let you know what I thought. 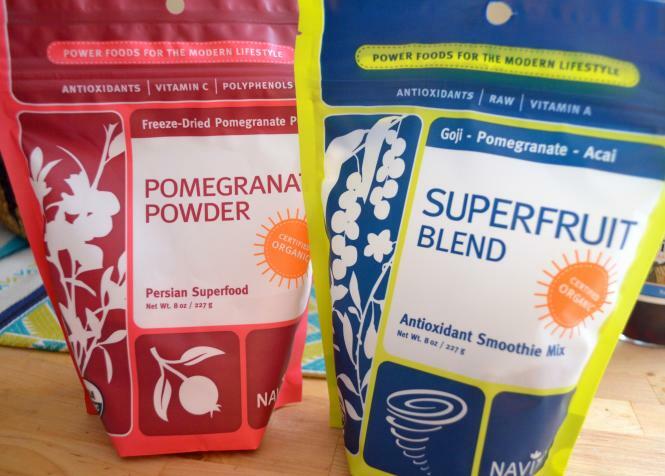 Nativas Naturals brand Superfood Powders (Pomegranate Powder and Superfruit Blend Antioxidant Smoothie Mix): I was a big fan of the idea behind these superfood supplements, and even more excited to find that they were both very tasty. The Pomegranate Powder was simply freeze-dried pomegranate, and the Superfruit Blend was made up of Goji, pomegranate, and acai powders. All the powders are organic, raw, and vegan, and are absolutely packed with antioxidants. I made a green smoothie with the Superfruit Blend, and was very pleasantly surprised to find that despite the color (an interesting brownish), it added a great tartness to my smoothie, and no strange flavors. I don’t like things too sweet, so I really appreciated the flavor of the powder, and was pleased by the amount of effort it took (almost none), to add such a great antioxidant and vitamin boost to my breakfast. I could definitely get into this. As for the Pomegranate Powder, I simply stirred it into some plain yogurt to see if I’d like the taste, and it not only turned my yogurt a lovely shade of pink, but it again added a tart sweetness that I really liked. Once again, a wonderfully simple way to add extra nutrition to a breakfast or snack—I ’d definitely recommend both of these! 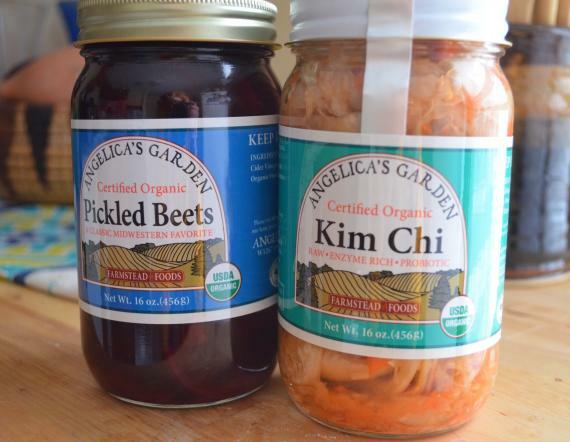 Angelica’s Garden Kimchi and Pickled Beets: I’ve loved kimchi for quite some time now, so I was thrilled to receive a jar to try, and from a great local company no less! Angelica’s Garden is committed to making their pickles and kimchi in small batches, using the best ingredients and using traditional methods. They make their kimchi using a method known as Lacto-fermentation, which is one of the most healthful preservation methods we know of. Lacto-fermentation promotes the growth of beneficial bacteria and is a powerful immune booster and digestive aid. Kimchi is a traditional Korean condiment consisting of pickled vegetables, ginger, and chili. Some call it “Korean Sauerkraut”, which is probably very accurate. It is delicious on its own or as an addition to sandwiches, salads, eggs…the list goes on. And obviously I loved it—so gingery and spicy! The pickled beets were also very good—the spices used were very similar to other sweet pickles I’ve had. They’d be great as a garnish, or just a snack, if you really love beets. Again, I’d tell anyone to buy either of these products, and I’d definitely try others from Angelica’s Garden. The kimchi and pickled beets (as well as some additional Angelica’s Garden products) will be 20% off at LHC today, Wednesday, Januray 23rd. Wednesday, January 30th: Stretch, Strengthen, Restore—Vegetate! 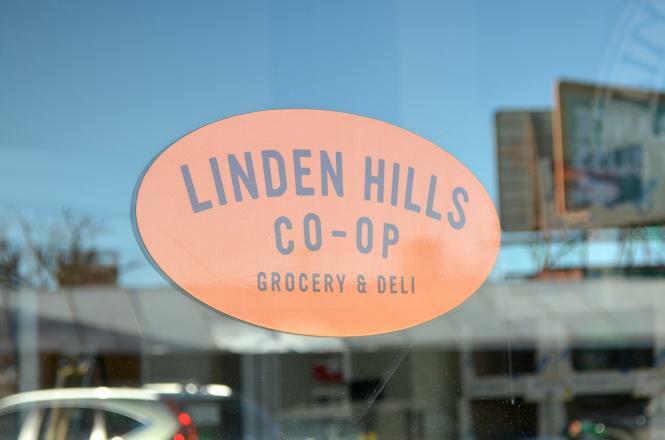 Note: The Linden Hills Co-op is a sponsor of Simple, Good, and Tasty. LHC gave the writer the Nativas and Angelica’s Garden products for review. Jillian Tholen learned to love food at a very young age growing up on her family's farm in Southwest Minnesota. She moved to Minneapolis after finishing undergrad to study Nutrition, and since finishing her Master's has been continuing to work with food and the community of the Twin Cities. Despite being a "country girl," she adores living in the Twin Cities, loves her summer job at the Mill City Farmer's Market, and is always up for feeding people and having a bonfire. 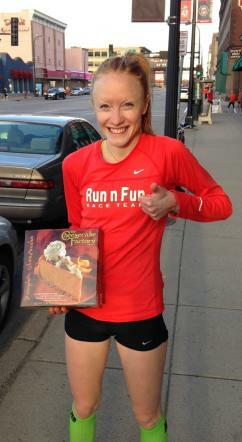 Jillian also sells running shoes at Run N Fun and serves farm-to-table food at the lovely Birchwood Cafe. Her most recent article for us was Coloring Our Plates: What the Color of Your Food Can Tell You About Nutrition.